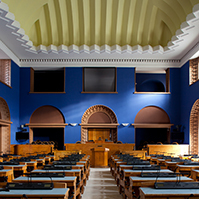 The Riigikogu passed with 66 votes (2 against, 3 abstentions) the Supplementary Budget of the Year 2006 Act (986 SE), initiated by the Government of the Republic. The amount of it is EEK 5.5 billion. The Supplementary Budget allocates EEK 2.454 billion for social protection, EEK 784 million for the services of the general government sector and EEK 542 million for economic activities. The Riigikogu passed with 71 votes in favour the European Union Common Agricultural Policy Implementation Act and the Rural Development and Agricultural Market Regulation Act Amendment Act (990 SE), initiated by the Government of the Republic. The Act establishes common rules for direct aid schemes applied in the framework of the common agricultural policy. The Act also establishes detailed implementing rules in connection with the sale of cream, butter and concentrated butter on the Union market. In addition the Act specifies the regulation related to the agricultural refunds. The Riigikogu passed with 52 votes in favour (16 against) the Basic Schools and Upper Secondary Schools Act Amendment Act (969 SE), initiated by the Government of the Republic. The Act enables a school proprietor to increase the maximum class size on the motion of the director and on consent of the board of trustees. By default the highest maximum level of the class size on the basic level is 24 and on the upper secondary level – 36 students. 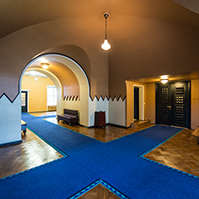 The Riigikogu passed with 65 votes in favour the Investment Funds Act, Financial Supervision Authority Act, Guarantee Fund Act and Funded Pensions Act Amendment Act (919 SE), initiated by the Government of the Republic. 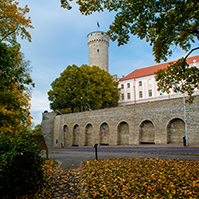 The Act creates a legal environment necessary for the establishment of a venture capital fund, taking into account specifications and specificities arising from the essence of the venture capital fund and considering the fact that the venture capital funds in Estonia have not been regulated at present. The Act makes amendments to and delimits the definition of the real estate fund, specifies the requirements which regulate the changes in the conditions of the contractual fund and enables to place the pension fund assets into venture capital and real estate funds. The Riigikogu passed with 55 votes in favour (2 against) the Health Care Services Organisation Act and Imprisonment Act Amendment Act (886 SE), initiated by the Government of the Republic. The Act enhances the volume of services offered by family doctors and entitles them also to render family nursing services. The Act also establishes new principles for the purchase of emergency medical care services. Pursuant to the Act, public competition is no longer carried out for contracting emergency medical care services, because in the opinion of the Ministry of Social Affairs the regulation for purchasing the emergency medical care services has not justified itself in practice. 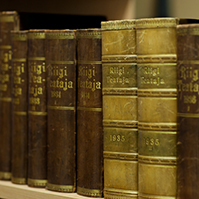 The Riigikogu passed with 55 votes in favour the Resolution of the Riigikogu On the Approval of the Consolidated Report of the Economic Year of 2005 of the State (988 OE), submitted by the Government of the Republic. The Resolution approves the consolidated report of the 2005 economic activities of government offices, local governments and other public law agencies. 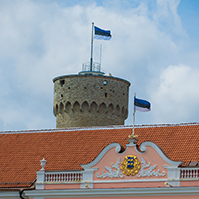 The Riigikogu passed with 44 votes in favour the Resolution of the Riigikogu On the Approval of the Estonian National Development Plan for Tourism for the Years 2007-2013 (976 OE), submitted by the Government of the Republic. The Resolution presents the strategy of the balanced development of tourism as a sector of the economy for the years 2007-2013. The development plan takes into account the fulfilment of objectives set during the previous period and concentrates on the strengths of Estonia and finding solutions to bottlenecks. The Bill on Amendments to the Victim Support Act (980 SE), initiated by the Government of the Republic. On the motion of the Economic Affairs Committee the Riigikogu suspended the second reading of the Public Procurements Bill (816 SE), initiated by the Government of the Republic. On the motion of the Environment Committee the Riigikogu also suspended the second reading of the Bill on Amendments to the Nature Conservation Act and Environmental Impact Assessment and Environmental Management System Act (927 SE), initiated by the Government of the Republic. The Draft Resolution of the Riigikogu On the Termination of the AS Eesti Raudtee Privatisation Agreement on Mutual Consent and on the Approval of the Acquisition of Majority Ownership of the AS Eesti Raudtee (1031 OE), submitted by the Government of the Republic. The Draft Resolution approves the AS Eesti Raudtee Privatisation Agreement, concluded between the Republic of Estonia, Baltic Rail Services Ltd and AS Eesti Raudtee on 30 April 2001 and its integral annex concerning the termination of the shareholders’ contract on mutual consent. The Draft Resolution also approves the price of the deal – EEK 2.35 billion. 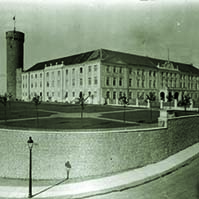 The Isamaaliit Faction and the Res Publica Faction moved to reject the Bill. The motion was not supported. The result of voting: 17 votes in favour, 51 against. The Bill on Amendments to the Natural Gas Act (1013 SE), initiated by the Government of the Republic. On behalf of the initiators Eiki Nestor withdrew from legislative proceeding the Bill on Amendments to the Employees Representative Act (973 SE), initiated by the Social Democratic Party Faction. At Question Time Minister of Education Mailis Reps answered the questions about the protection of the Estonian language and the financing of the higher education strategy. Minister of Regional Affairs Jaan Õunapuu answered the questions about the situation in regions and the future of the coastal and island population. Minister of Agriculture Ester Tuiksoo answered the questions about the rural life development plan and AS Werol Tehased. The sitting ended at 10 p.m.